philipblackburn shared a post. What's in a label? 11 months 1 week ago. Out Beyond is my new work (music and video) starring the voice of Ryland Angel. 800 year old Persian poetry, zen gardens of Kyoto, and conch shell trumpets. How much more mystical can you get? https://youtu.be/Fok5kopOkIU 1 year 2 months ago. Happy Halloween, everybody! 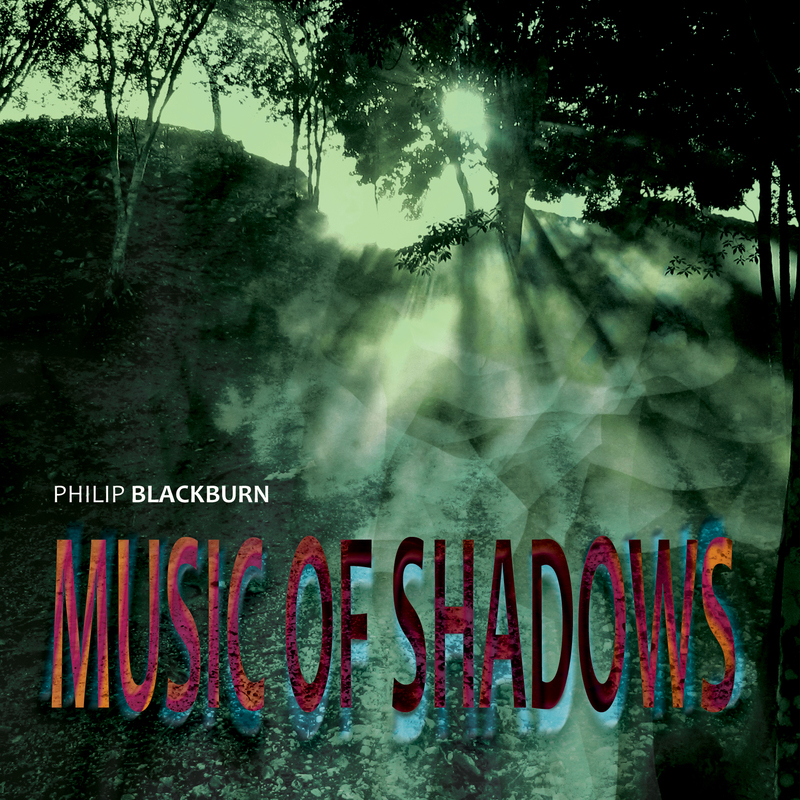 "Today’s installment for Halloween month is Philip Blackburn’s album Music of Shadows – streaming at Spotify – which was written to be played in the St. Paul, Minnesota sewer system. Innova Records put out this bleak, tectonically and ineluctably shifting triptych in 2014, and it may be the high point of the composer’s career so far. Blackburn is sort of the shadow image of Brian Eno – his enveloping, often darkly majestic electroacoustic soundscapes tend to whoosh and resonate in the lows, sometimes with provocative samples. His recent works have addressed the struggles of Vietnamese refugees and have lampooned right-wing bigotry. This one is more of a relentless mood piece. Even the mathrock-y bubbles as the second movement opens give way to a coldly echoing, oscillating resonance. About five minutes into the icy lead-pipe ambience of the opening movement, there are doors slamming and children playing, but the effect evokes a prison vastly more than it does a playground. And the disembodied choir fading in and out eventually blend with the rest of the ghosts. And for anyone living in an urban area, the album has value to match its gloomy, entrancing artistic merits. Your neighbors might bang on the ceiling if you crank a loud rock record in the middle of the night to drown out the crackhead or the creeps down the hall, but if you blast this, nobody can really complain – and if you’re tired enough, it will eventually lull you back to sleep. After all, nobody can tell you that you can’t vacuum your floor at four in the morning, can they? That movie you were just blasting? What movie, wink wink! Any nightmares you might have are incidental. Or are they?" https://newyorkmusicdaily.wordpress.com/2017/10/08/pb/ 1 year 6 months ago. My critique of the Walker's sculpture garden in Minneapolis that opened with a performance by sound artist Stephen Vitiello: https://walkerart.org/magazine/listening-further-afield-philip-blackburn-on-stephen-vitiellos-sound-horizon/ 1 year 10 months ago. Hi Philip Blackburn, I'm really liking Stuck! I'm responsible for A&R for the executives at The Akademia and I think you've got a good thing going. I would suggest you visit www.TheAkademia.com to see what they can offer. They're based in L.A. and are launching major artists worldwide. Please mention that Alex referred you. Alex 2 years 7 months ago. Philip Blackburn’s music has been called trippy, hallucinatory, intense, and riveting. Music of Shadows, his follow up to the 2012 Ghostly Psalms (innova 246), is all those things and more. Verging on transcendental, it contains three substantial works that are explorations of ways of listening as much as they are music in the usual sense. They offer sensually sonic worlds to inhabit and wallow in; ambient landscapes of the dreaming mind and what you might hear there. Two of them began as underground soundscape installations, as part of Blackburn’s Sewer Pipe Organ — to be played back inside St. Paul’s storm drain system near the Mississippi. The sounds emerging from manholes across a wide area brought awareness to the acoustic spaces normally hidden from daily consciousness. One work, Dry Spell, started as a steampunk cityscape of lost children amidst invisible Victorian factories, and distant voices of heavenly choirs and innocents trapped in forgotten playgrounds. By contrast, Still Points, is a more geometrical fantasy on the overtones of the 60-cycle electrical hum; a dance of pure rhythmic proportions (made on a recreation of Cowell and Theremin’s Rhythmicon instrument). The final work, The Long Day Closes, is a modest statement on mortality originally created as the soundtrack to part of Blackburn’s film, The Sun Palace — an experimental multimedia work paying tribute to the TB era and one particular Colorado sanatorium where some of his ancestors chased the cure. With a 40-voice chorus from UC-Colorado Springs, instrumental ensemble, tape, and a solo clarinet recording by Bob Paredes added long after his death, the music is a sustained, soaring homage to those who live at the cusp of life and death every day. The sensation is not too far from classics such as Bryars’ The Singing of the Titanic or Ives’ The Unanswered Question. The world of vision has shades of light and dark, densities, movement, and space, with transparent layers and areas of focus. Blackburn’s sound world likewise maps the inner ear to the outer world in stunningly imaginative, time-defying ways; leaving impressions and shadows in its wake. Philip Blackburn is an environmental sound artist, composer, author (on Harry Partch), film-maker, designer, and sculptor. His musical pantheon includes Kenneth Gaburo, Harry Partch, Henry Brant, Pauline Oliveros, Harley Gaber, and many others he has encountered through his work at the innova label. Music of Shadows was supported by New Music USA, made possible by annual program support and/or endowment gifts from Mary Flagler Cary Charitable Trust.